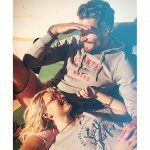 “The industry will look back at 2017 as the emergence of this technology. 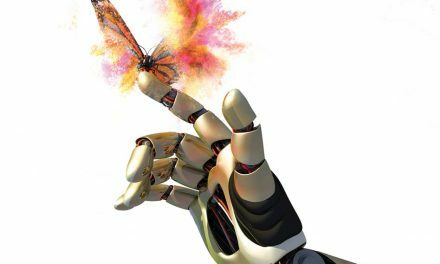 This is the year of the hybrid,” said Peter Walsh, vice president of sales at M&R. 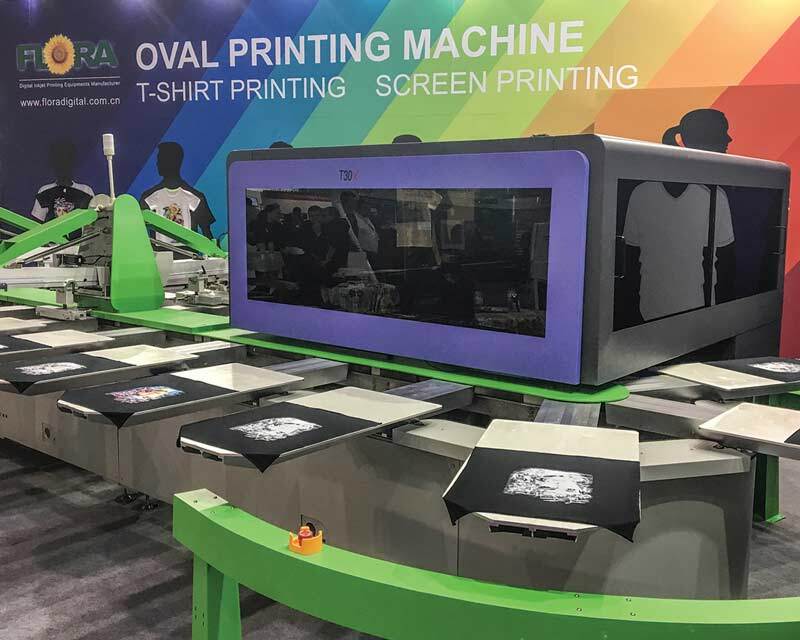 Looking around the halls at Fespa it was clear that this was not hyperbole; Images counted at least six high-volume hybrid DTG and screen systems on display at Fespa 2017. 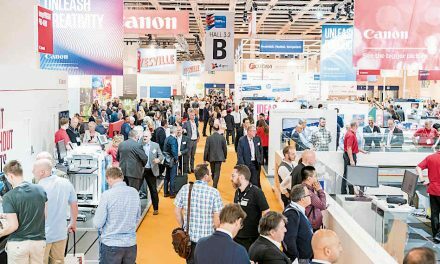 Visitors to the show in Hamburg in May couldn’t have failed to notice the machines: big, impressive and surrounded by gaggles of people the minute a demonstration began. In Hall A4, the IQ-Digital from MHM dominated the stand. 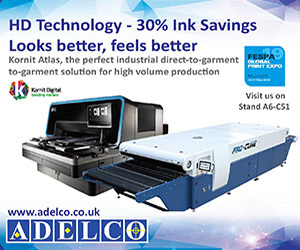 The digital system stretches across both sides of the oval, allowing it to print two garments in one pass with its Ricoh digital print heads. 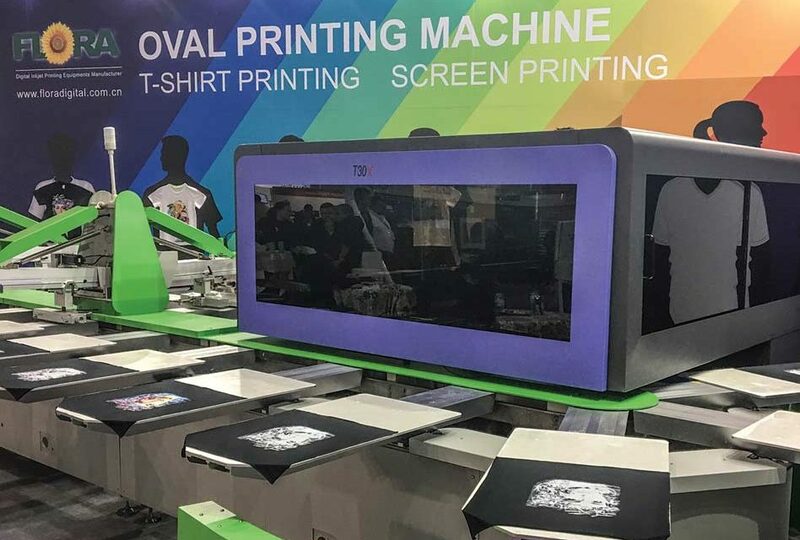 The company says it is capable of printing up to 1080 garments an hour. 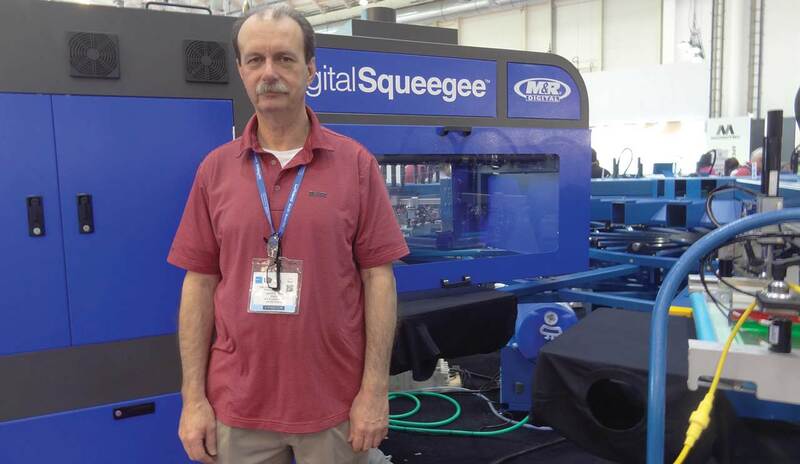 The machine generated a lot of interest, reported Tony Palmer, technical sales consultant at MHM Direct GB. 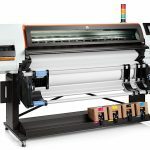 The plan, Rich reveals, is to create a separate white digital printer that is capable of printing at the same speed so that printers can have the choice of either printing fully analogue, fully digital or hybrid, in one set-up, depending on what the job requires. He expects the white digital printer to be available in the next eight to 10 months. 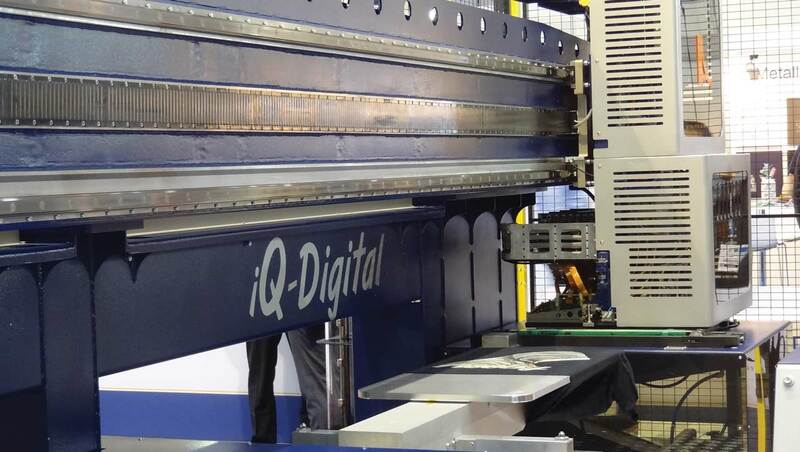 Roq, now being distributed in the UK by i-Sub, also had its new hybrid system on display. 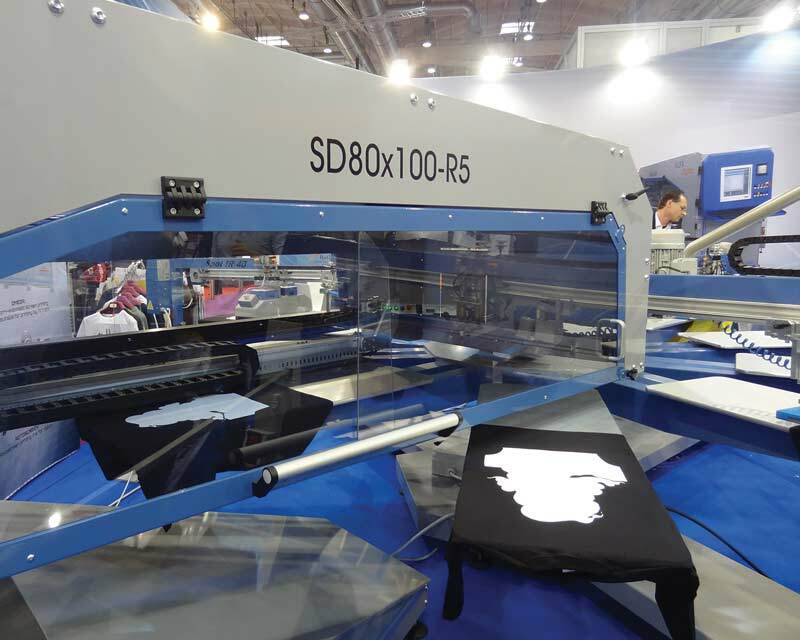 The Roq Hybrid uses Fujifilm Dimatix print heads and promises 450 pieces an hour. 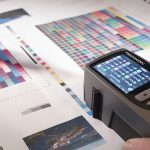 Chinese company Flora was another manufacturer that was pushing its hybrid technology, while Italian company Tek-Ind demonstrated the Alfa Digital, a four-colour digital printer that can be added to carousels, which it reported has received huge interest from many markets including India and Bangladesh. Oliver added that the Paradigm is still available, although tellingly the company wasn’t showing it on its stand, where the focus was most definitely on the Kornit standalone machines. 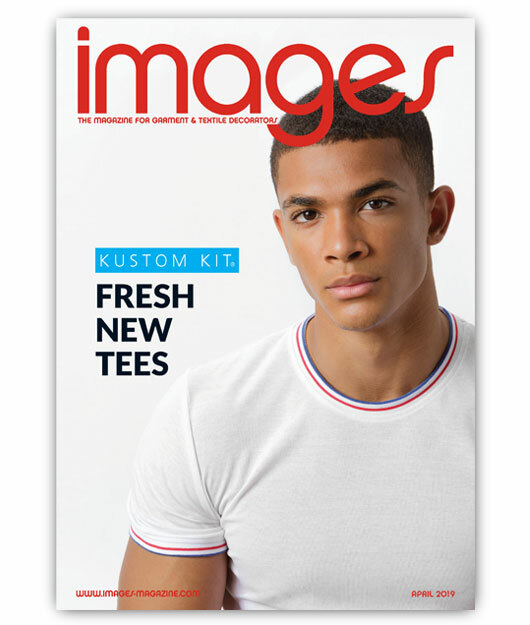 Could you see HYBRID screen/digital printing playing a role in your print shop?